Jean Piaget discovered that children actually construct their knowledge or ideas of the world based on what they perceive and what they experience. The sensori-motor stage, from birth to the end of the 2nd year, is a time of rapid cognitive development and growth. Literally your baby's brain development is at constant full throttle! 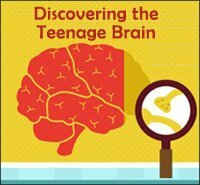 More than any other period in life, these years are vital in the development of skills such as memory, imagining, creativity, deductive reasoning, and planning. When children are able to create an image of an object or person in their mind, and then make decisions to act on that image, they have reached what is called full object permanence. During this stage babies learn about how their bodies move through repetition of reflexes. As they grow, they will learn how to control these reflexes to help them adapt and function in their world. Since action is mostly reflexive, infants at this stage are not really aware of objects to know that they have disappeared from sight. 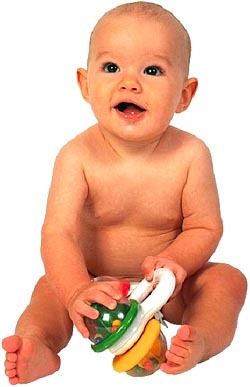 Around 3 or 4 months babies will begin to notice objects and follow movements with their eyes. If you show infants a ball or colorful toy, they will express delight; however, they will not react when the object is taken away or hidden. They still give no thought to what they cannot see. Parents and caregivers will notice that children in this stage will begin to reach for objects, even when they are partially hidden. This shows that they are beginning to gain an understanding of object permanence and realize that the whole exists even though they are only able to see a part. However, if an object is completely hidden, they will make no attempt to look for it. This is a fun stage since most infants actually try to grasp and play with toys. At this stage, babies are able to retrieve a completely hidden object but will only look where they first saw the object hidden. For example, infants will search for a hidden toy when they see it placed under a blanket. However, if the toy is removed from under the blanket and re-hidden under a chair, the babies will still look under the blanket, even though they saw that the toy was hidden under a different cover. This is an exciting progression because children now realize that an object exists outside of their perceptions. If we show them a toy and then hide it, they know that not only does the toy still exist but they can actually actively begin searching for it. They will begin their search where they last saw the object, and may even continue to familiar or expected places; however, if the toy does not reappear, they may quickly give up or even become frustrated and begin crying. At this stage, babies are able to find an object that is hidden, retrieved, and then re-hidden. They enjoy playing games such as hide-and-seek and will even begin trying new actions to get different results. Unlike the previous stage, they are able to account for changes in position that an object may make and adjust their actions accordingly. This is just a fancy way of saying that infants in this stage fully understand object permanence. They no longer interact with the world around them on a purely physical or motor skills level but are able to form internal pictures of objects that they have previously seen and understand that these objects still exist even when they are out of sight. They are also able to account for the displacement of objects, meaning that they will look in multiple locations, even in 'hidden' areas and containers such as toy boxes, cupboards, or under furniture. This stage is very important in cognitive development because it indicates that children not only realize the permanence of certain objects but are also able to see the world more objectively, knowing that it is not attached to themselves but actually exists independently of their perceptions and actions. 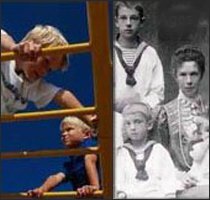 Recent Research Questions Jean Piaget's Theories as Underestimating Children's Mental Abilities? While Jean Piaget's theory is solid and the progression through the stages is well documented, it is important to remember that every child is an individual. 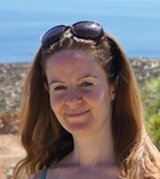 Please be aware that theories and techniques are simply frameworks and guidelines that can help us understand our children, but should not be considered as bulletproof theories. Do children really not fully understand object permanence until they are 2 years old? 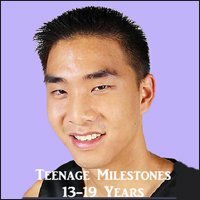 Could the process begin earlier or finish later? Do children younger that 4 months old have no concept at all of object permanence? Do some children actually develop this concept much earlier but it does not manifest in their actions due to undeveloped motor skills or an inability to communicate? Piaget has been criticized because his studies were limited only to the infant's visual perceptions or conceptualization of his or her world and failed to take into account information gained from other senses such as smell, taste, touch, or hearing. Considering these factors, there has been some evidence that object permanence may actually develop earlier than Piaget indicated. As parents most of us have probably experienced a fussy young infant that refuses to be placated until placed in his mother's arms. Or a crying baby that will be calmed simply by her parent's touch or smell. The concept of missing something and searching (or in this case, crying) for its return is an important aspect of object permanence. As parents, we can use Piaget's theory as a means of understanding the processes within our children, but we must also keep an open mind to the questions raised so that we do not confine our babies to popularly accepted norms and expectations. 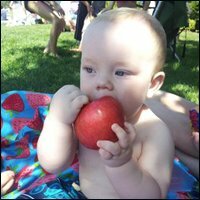 As we now know infants build an understanding of their world through their motor abilities and information acquired from their senses such as touch, vision, taste, and movements. Cognitive development is a result of interaction with the environments, so playing with our children can be a lot of fun during the sensori-motor stage. By understanding what our children are capable of at each level of development, we can choose games and activities that will enhance their learning and include all of their senses. From approximately 6-12 months of age, this is supposedly one of the best activities to teach children that something or someone who cannot be seen still exists in their world. For example covering a toy with a blanket then saying, “Where's the ball?” followed up by uncovering the toy and saying, “Here's the ball!” will help our children understand that the ball did not disappear just because the blanket covered it. Hiding then reappearing from behind a door, playing with a Jack-in-the-box, or pulling objects from containers are also fun and effective ways to interact with our children while helping facilitate their intellectual and emotional development. Whether it is simply leaving a room or leaving children with a babysitter and then reliably returning, this activity will help our children realize that even when they cannot see us, they know we will always come back. A caregiver who is regularly out of sight yet consistently returns can actually encourage the development of object permanence as well as a strong sense of security. Since many people suggest that object permanence involves all the senses, not simply visual perception, we can help solidify the idea by calling our children when we are away so that they hear our voices and realize that we still exist even though they cannot see us. However, these 'games' might not appeal to all babies. For instance my own son wasn't at all interested in toys until quite late. The only thing that really interested him were human faces. So the above mentioned peek-a-boo games were of no good for me. Once again babies are individuals just like adults so games and strategies are no one-size-fits-all! One of the best ways to help develop object permanence is to give young infants a secure, dependable, and loving environment in which to learn. Babies it is important to introduce regular routines and familiar patterns so that they start to establish a sense of expectation. If we always feed them in a certain way, read the same books to them daily, or place the same toys in their crib, they will begin to develop the concept of consistency and permanence as well as building both trust and security. Complete object permanence is the ability to conjure up images in the mind and to use these images before taking action. An important aspect in planning and decision making is the idea that expectations for the future are based on the past. So, by giving our children reliable and stable environments we are encouraging object permanence and all the benefits this concept includes. But once again not all babies are alike. 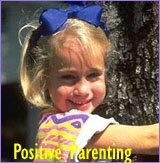 For instance as an infant my son's stable environment was me, not the physical surroundings. So he would insist on always being on me while craving constant newness in his surroundings. In other words, he would be restless and bored (at least that was how I interpreted his signals) if I didn't often change physical locations! Object permanence is a big milestone in our children's development and understanding of their world. The ability to create mental pictures or remember objects and people they have previously seen is a vital precursor to creativity and abstract thinking. 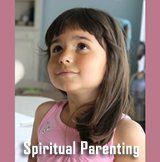 As parents, we can help our children become healthy, happy, and secure by understanding what they are experiencing at each stage of development, connecting with their feelings and emotions, and giving them what they need to realize that the people and things they love the most do not cease to exist just because they are out of sight. 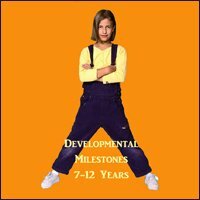 Understand Your Child all the Way through the 6 Stages of Child Development. 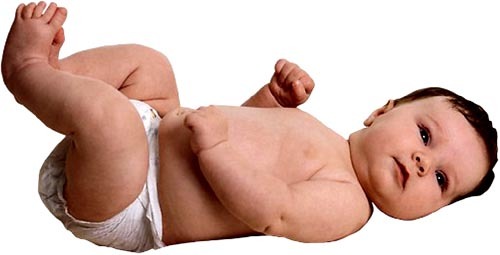 About the First Physical, Psychological and Social Infant Milestones and How to Handle Them! 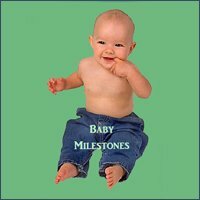 In-Depth List of All the Baby Milestones Reached during the First Year: Exciting Insights into Physical, Psychological and Social Baby Development. 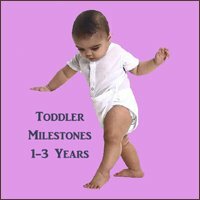 A Long List of Toddler Milestones and Positive Parenting Tips for Parenting Toddlers. 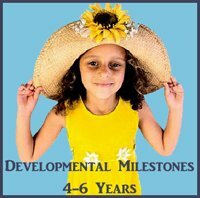 A Guide to the Early Child Development Stages and a List of Child Development Milestones from 4-6 Years. 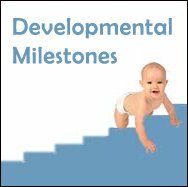 A list of Physical, Cognitive and Social Developmental Milestones. Physical, Cognitive and Social Developmental Milestones. From the Grand Masters' Fixation with Development Stages to the Context Focus of Today! Spot Deviations like Early ADHD or Autism Symptoms. Back to the top of this page about Jean Piaget's Object Permanence: Theoretical Outline, Modern Critique and Parental Advice!